Travel to the Andormeda galaxy for humanity's next chapter with this vinyl figured based on the Mass Effect game series! From Mass Effect: Andromeda comes Liam Kosta. 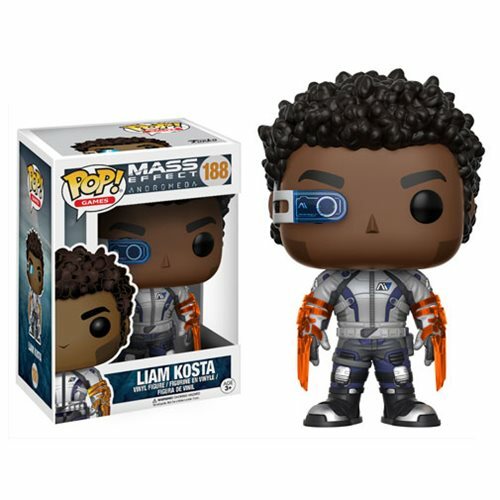 Packaged in a window display box, the Mass Effect: Andromeda Liam Kosta Pop! Vinyl Figure measures approximately 3 3/4-inches tall. Ages 3 and up.